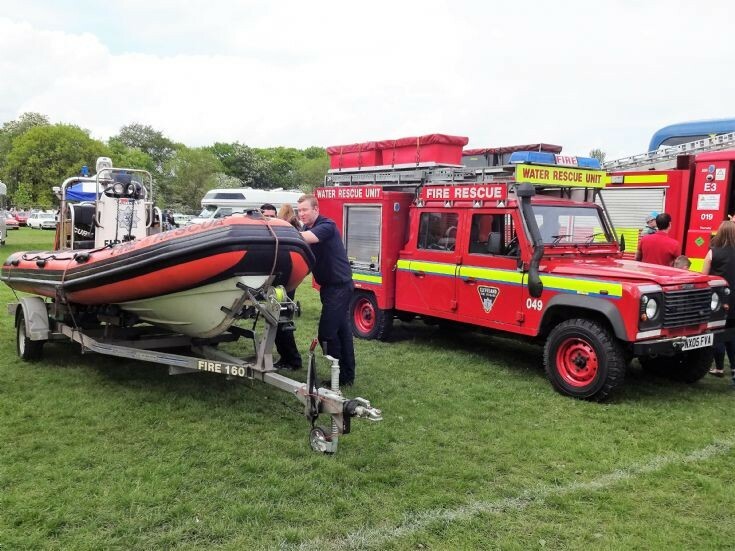 Water Rescue Unit with its boat. Sorry to harp on it, but this looks like yet another Land-Rover which could well be overloaded. Their off-road capabilities are seriously compromised if people pile loads of stuff on the roof like this, and pulling a boat along on a trailer does not make it any easier!